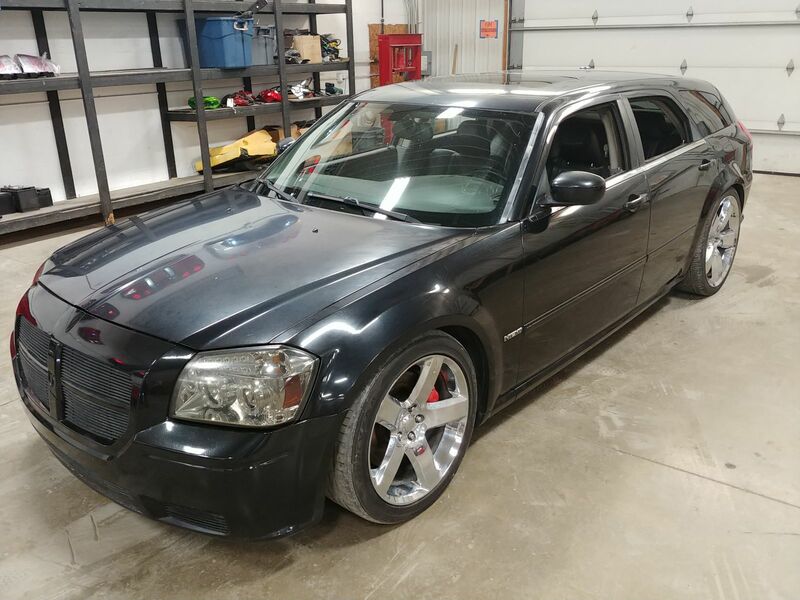 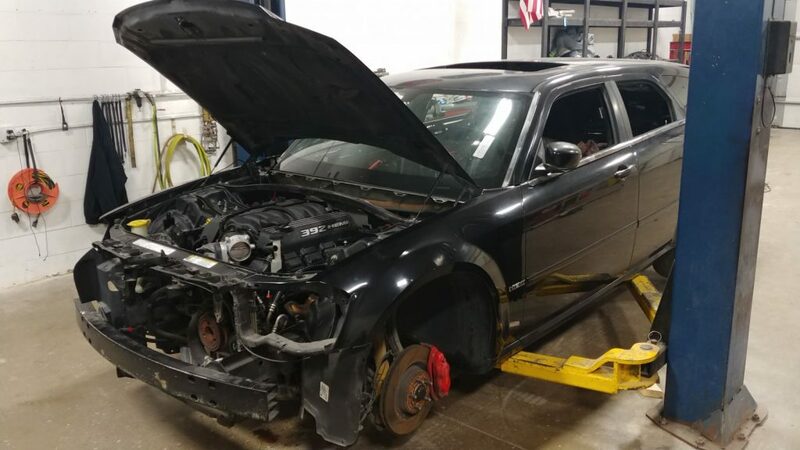 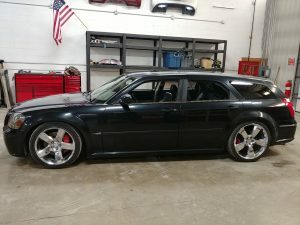 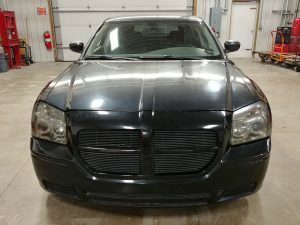 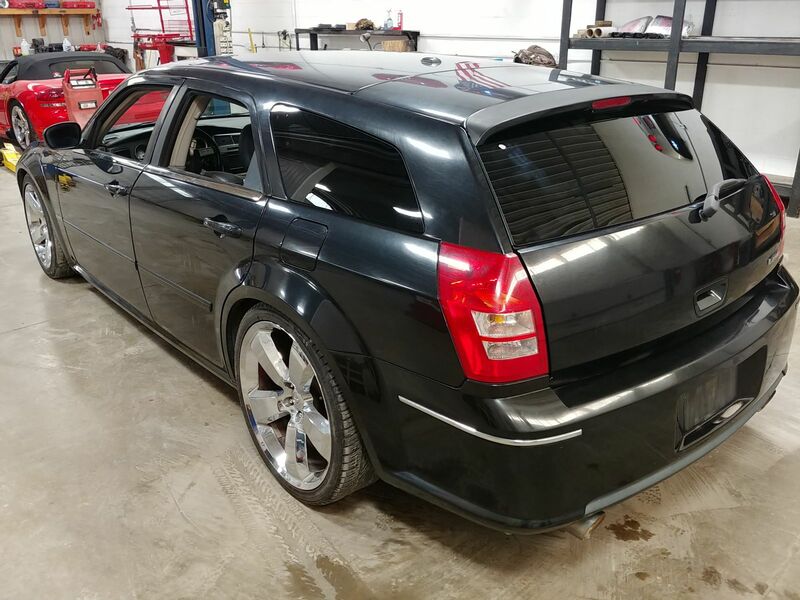 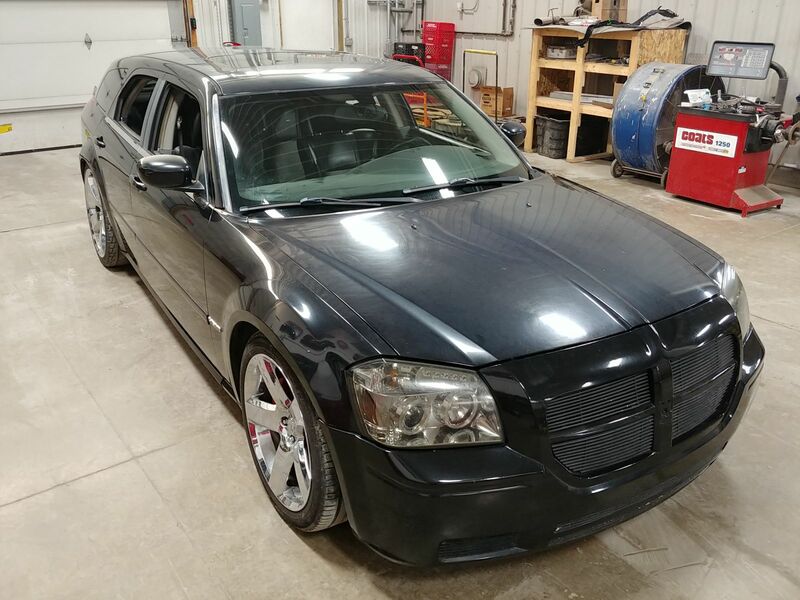 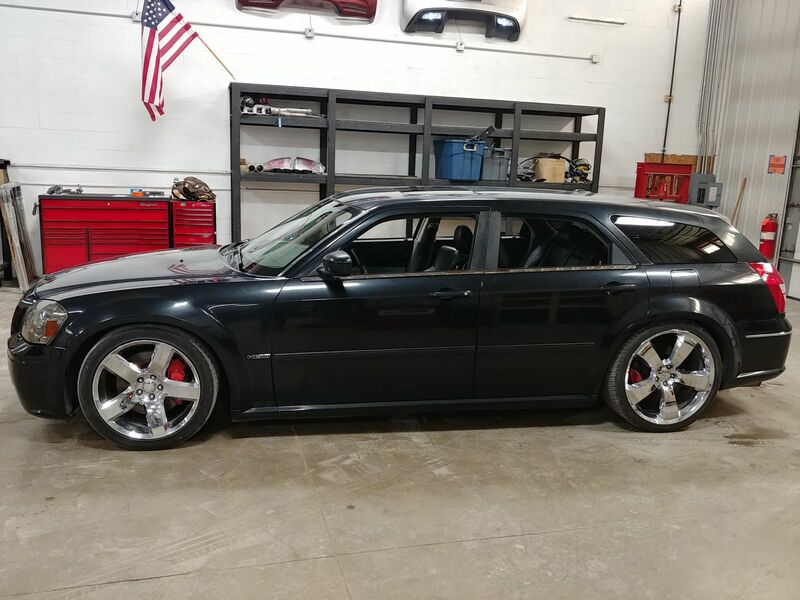 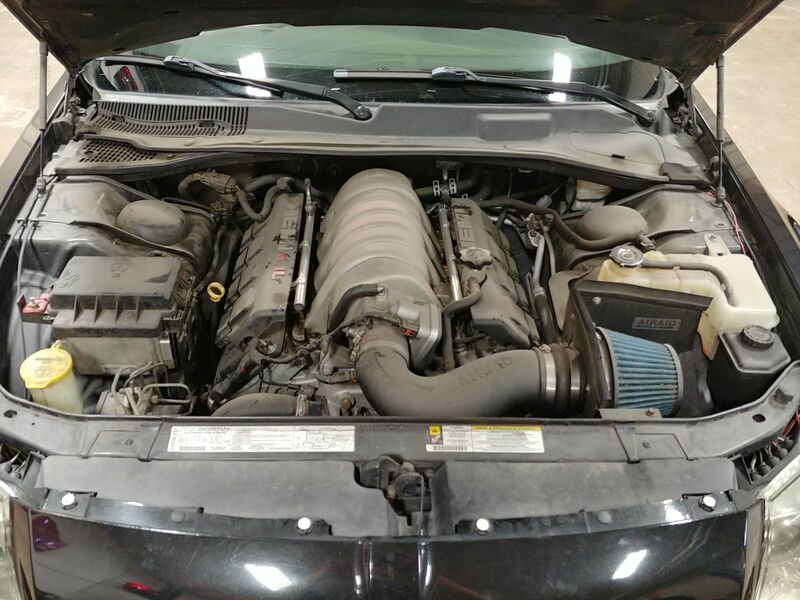 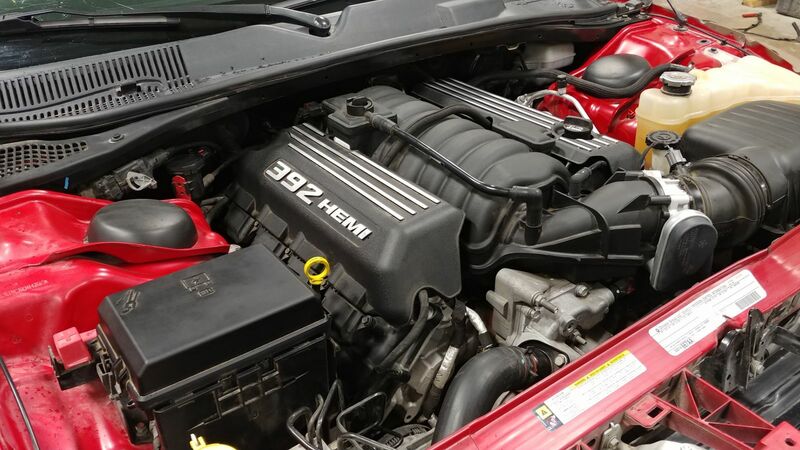 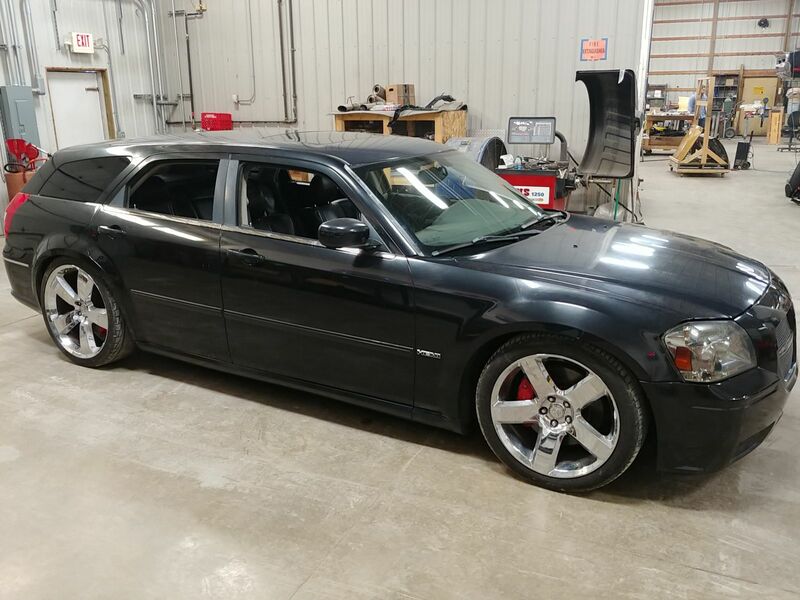 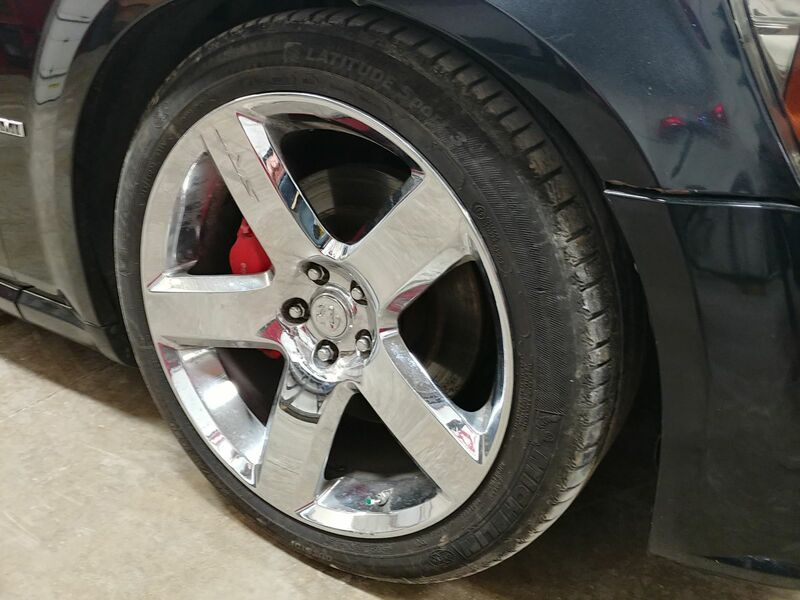 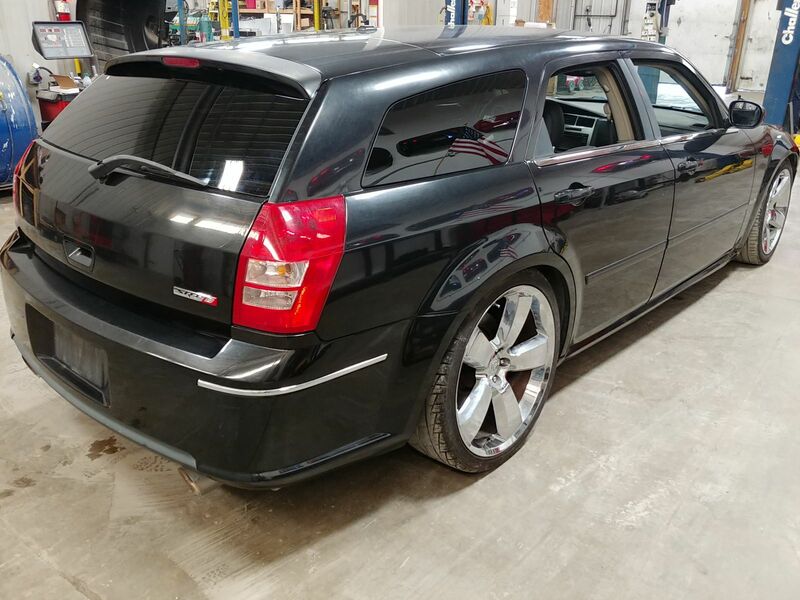 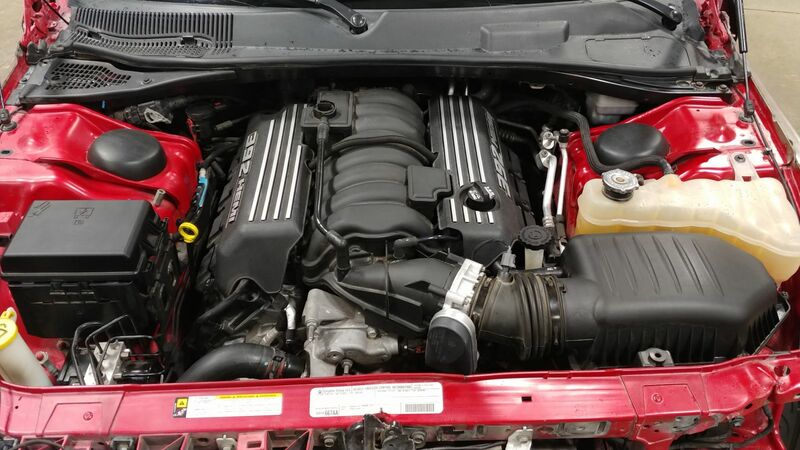 Cleveland Power & Performance is proud to present this 2006 Dodge Magnum SRT-8 6 speed manual transmission and 6.4L HEMI build! 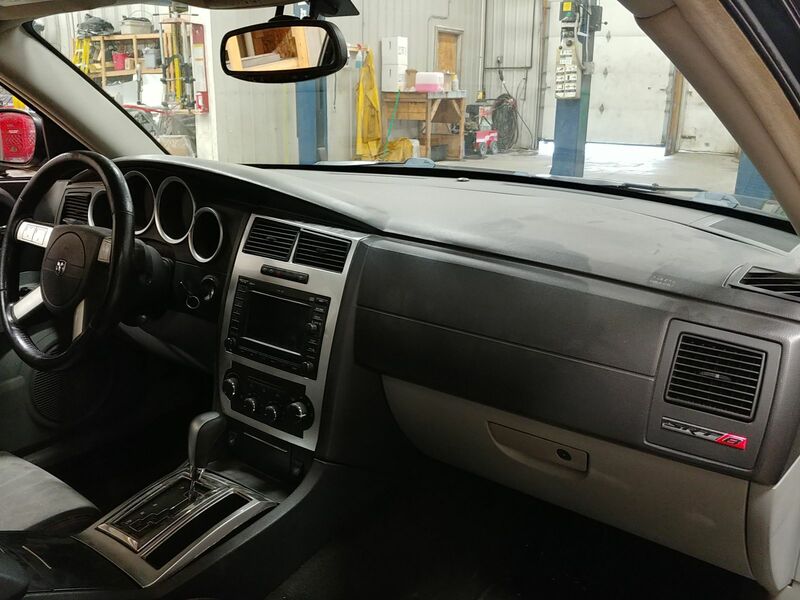 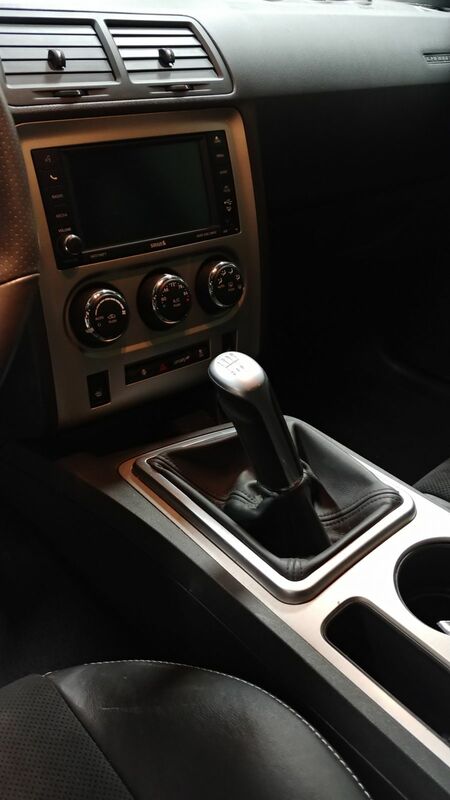 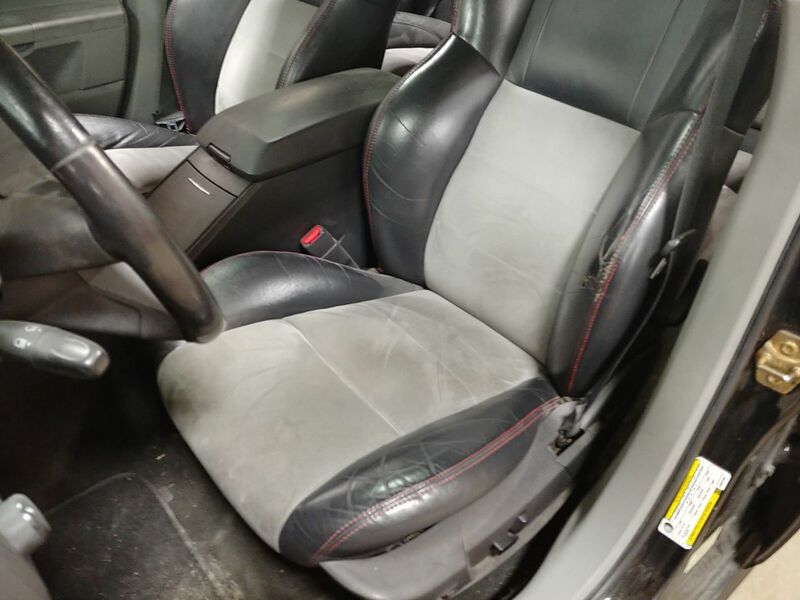 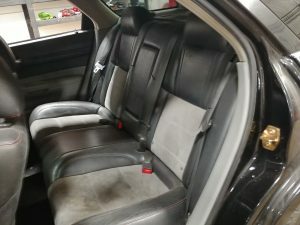 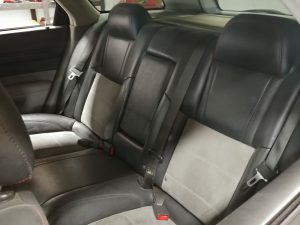 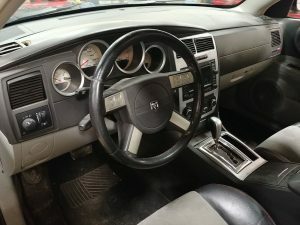 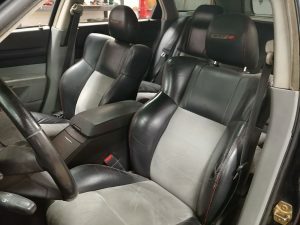 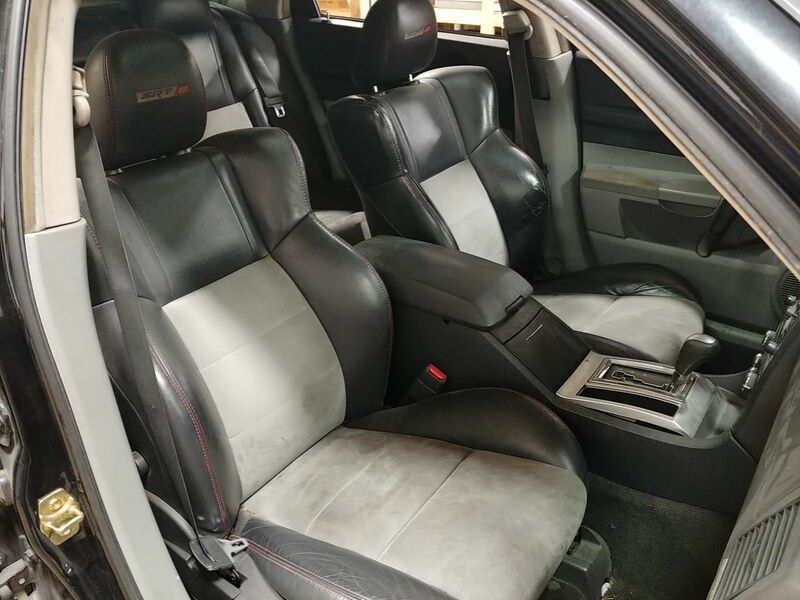 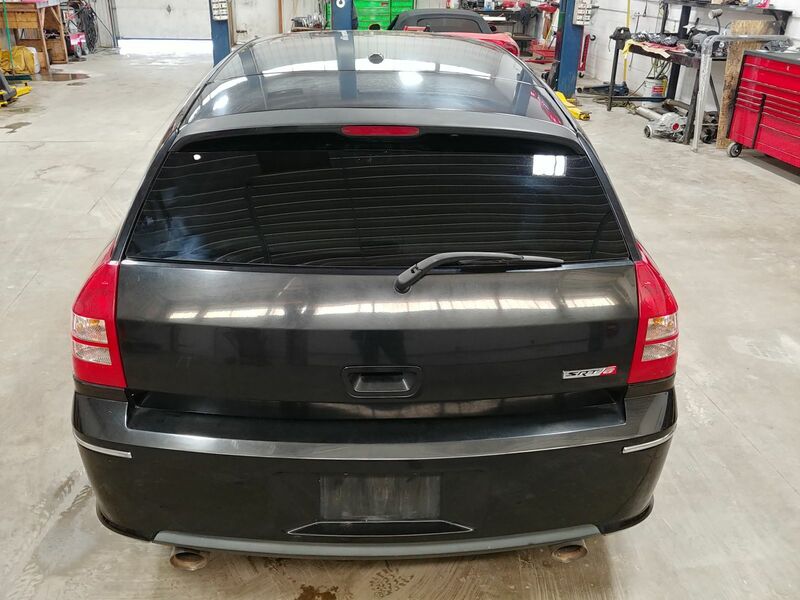 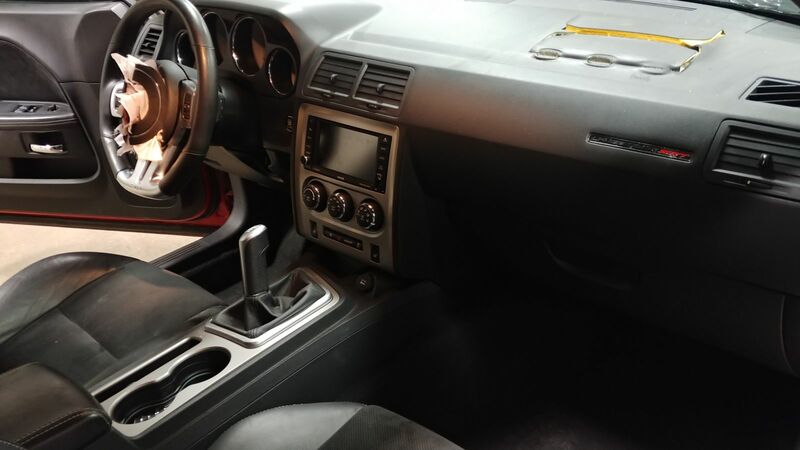 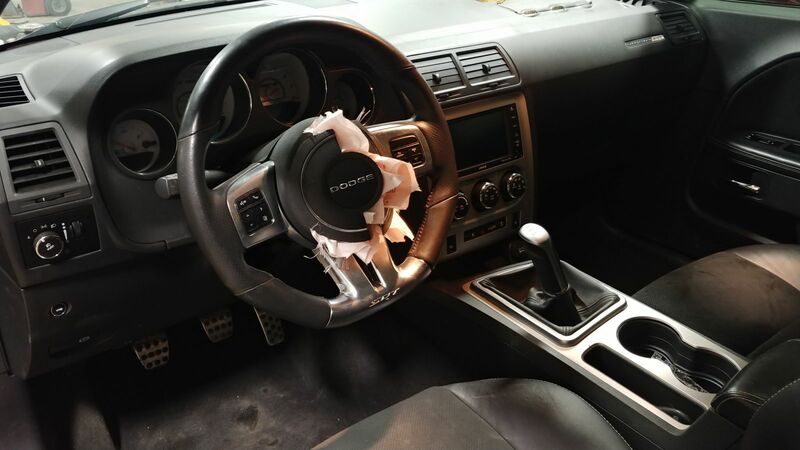 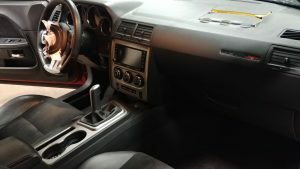 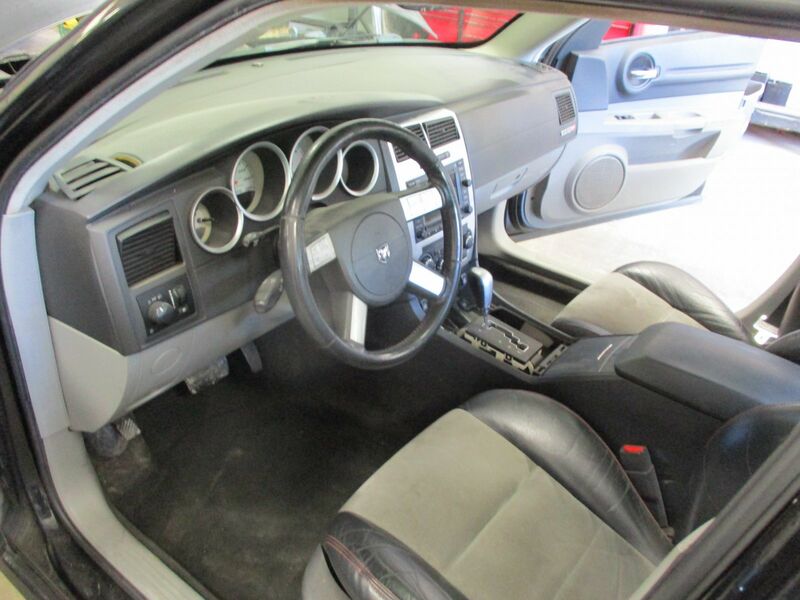 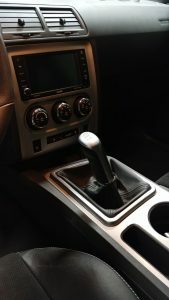 As many of you may know, the Dodge Magnums were only made from 2005-2008 and like the 300s and the Chargers, did not come with a factory manual transmission option. 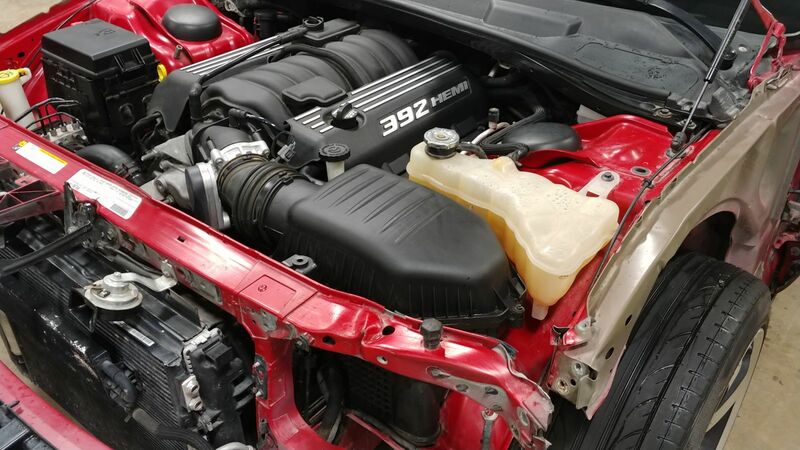 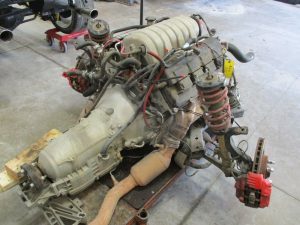 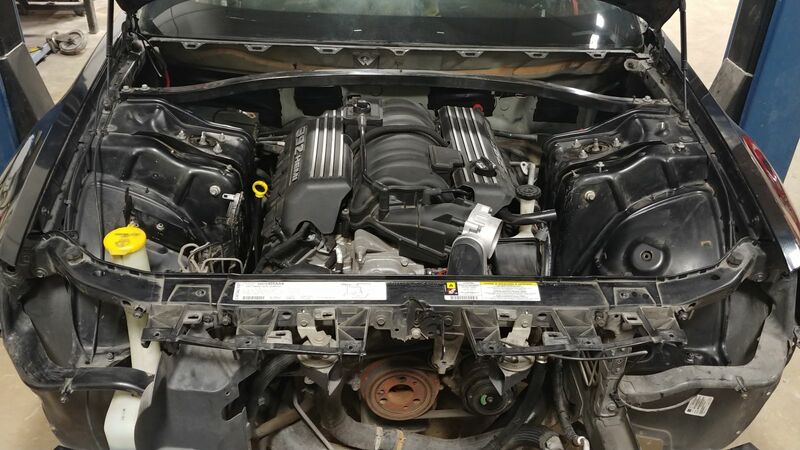 Not only will this Magnum SRT-8 be equipped the 6 speed TR6060 manual transmission, but will also be upgraded to the 6.4L HEMI engine. 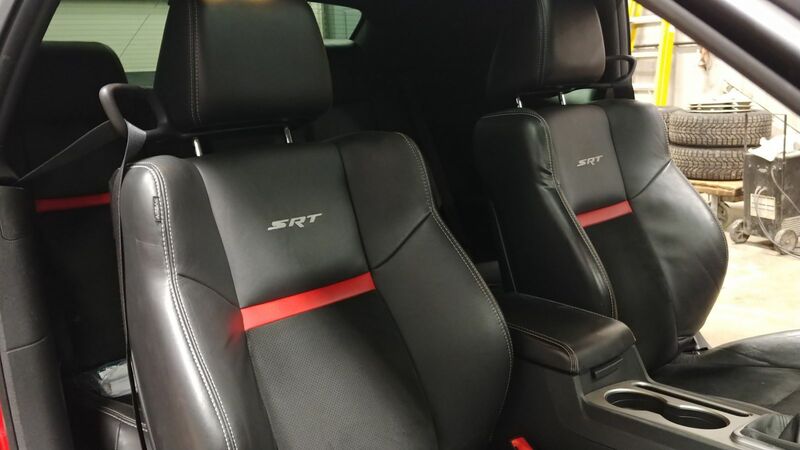 The SRT-8 Magnums are pretty rare vehicles, with only 2,970 produced in 2006, 921 in 2007 and only 239 in 2008. The donor vehicle used for this Magnum will be a 2012 Dodge Challenger SRT-8 with 31,000 miles on her. 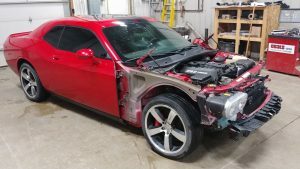 This build will feature all sorts of other upgrades, so follow along here as we update this page regularly as this build progresses. If you are looking at this and have any questions at all, please feel free to contact us. 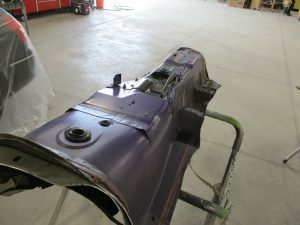 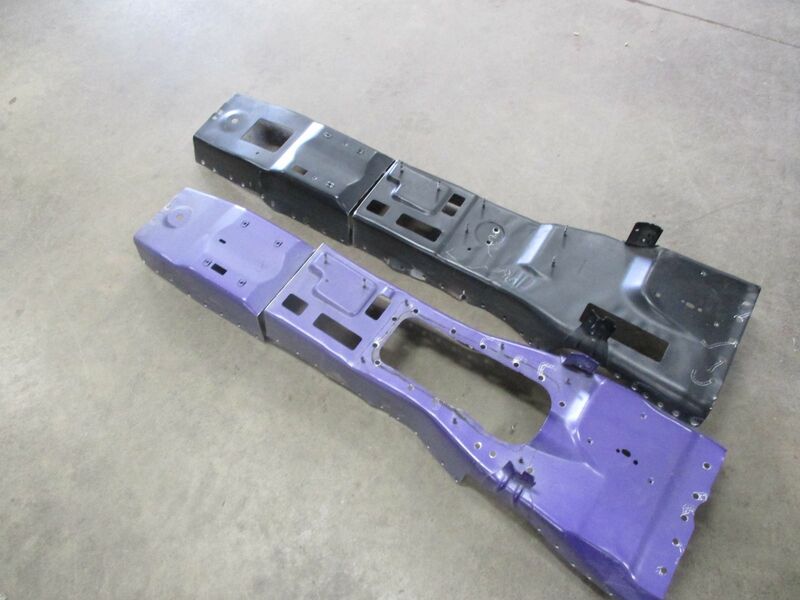 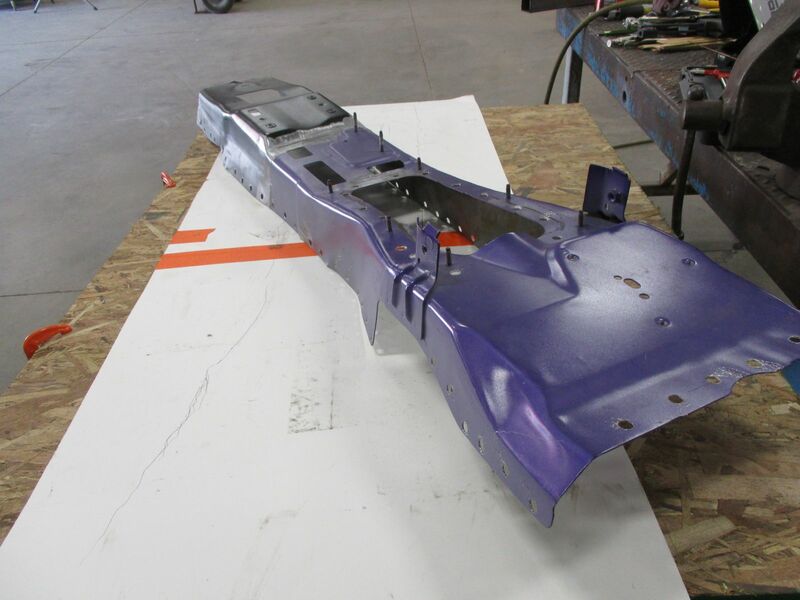 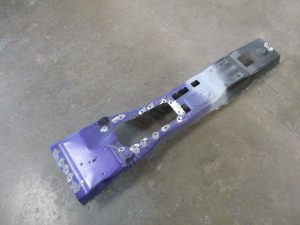 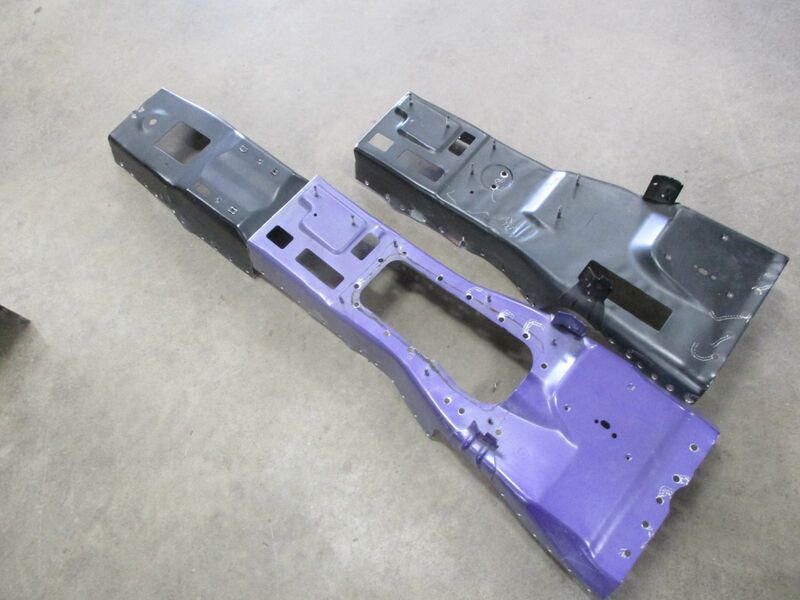 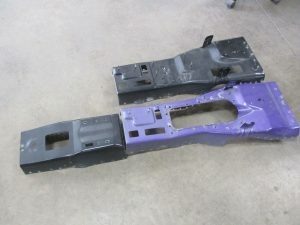 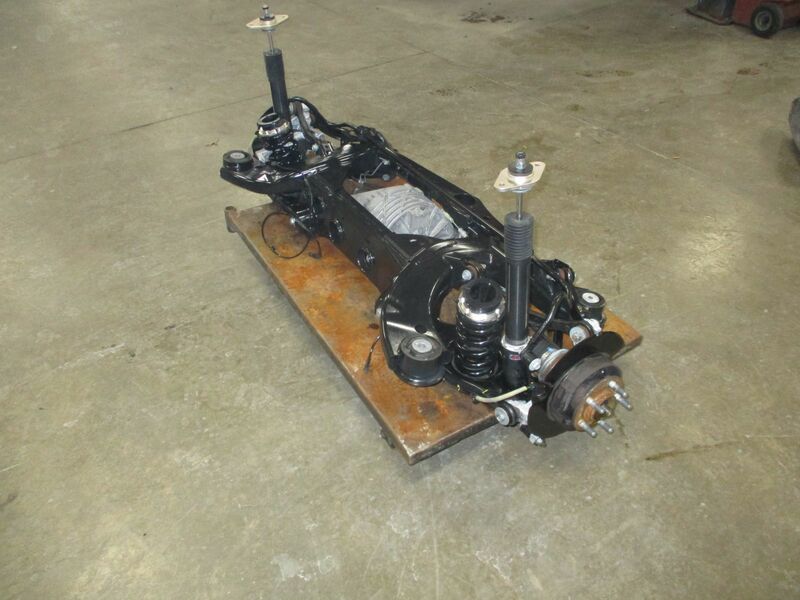 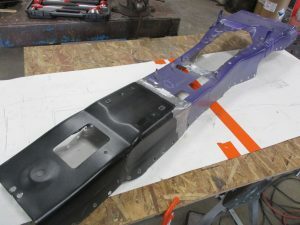 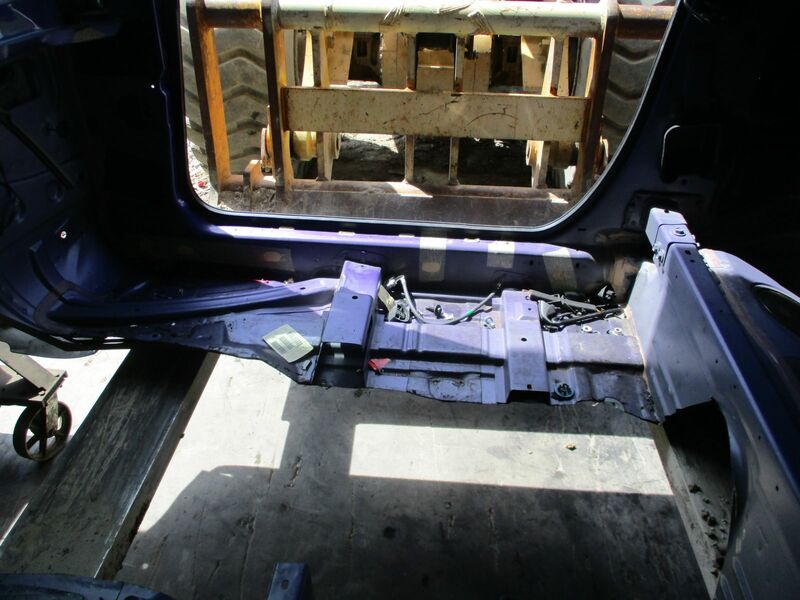 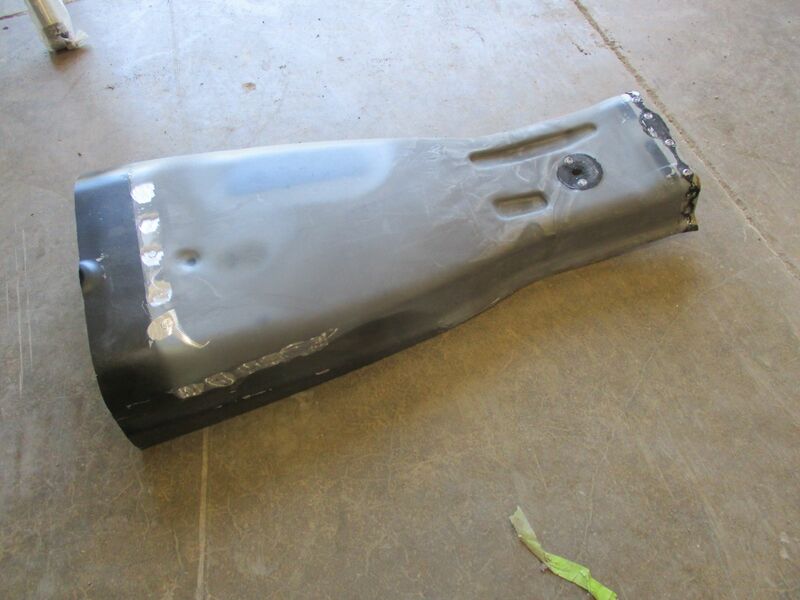 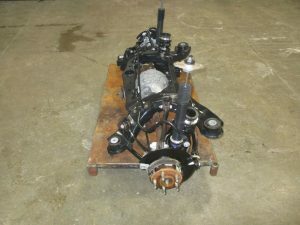 Below are pictures of the Magnum body that we will be using for this build. 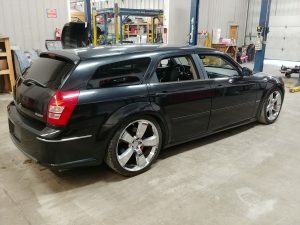 This vehicle will look vastly different after all of the upgrades she will be getting. 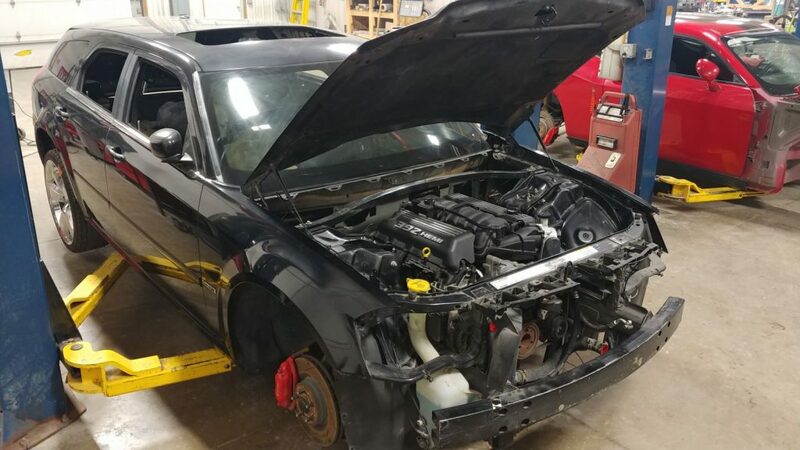 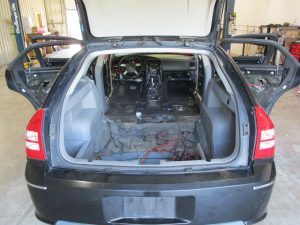 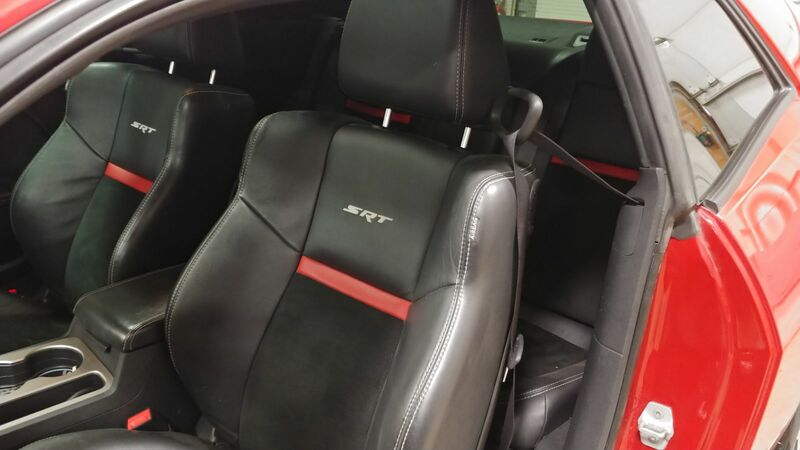 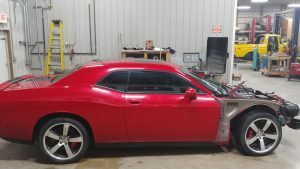 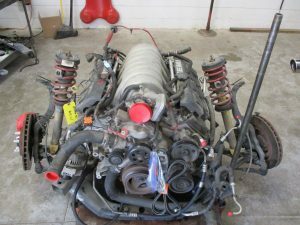 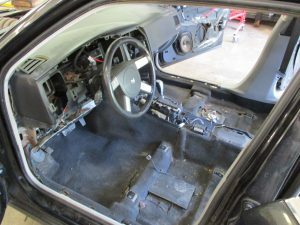 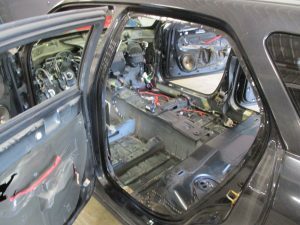 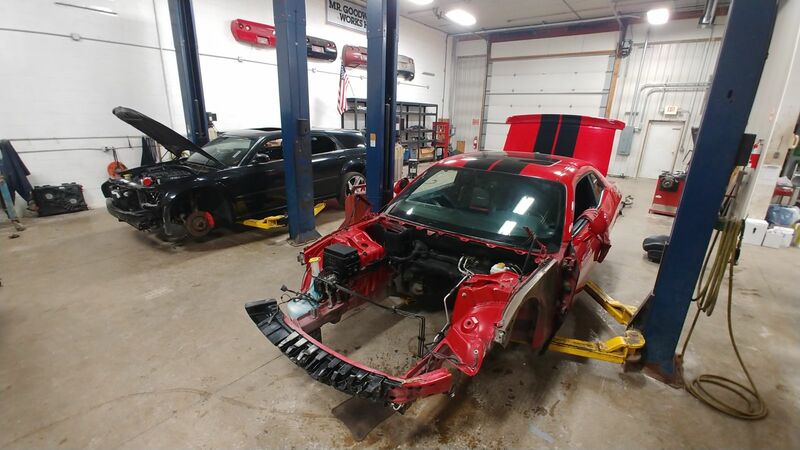 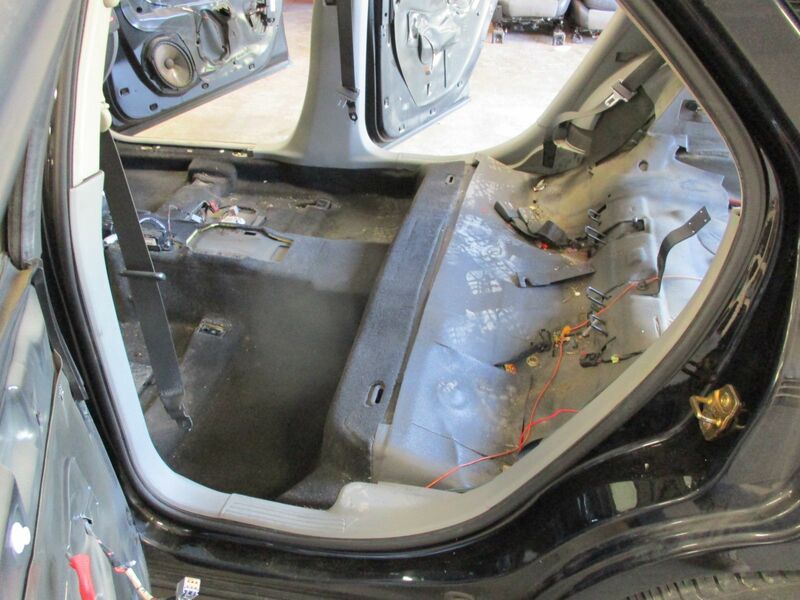 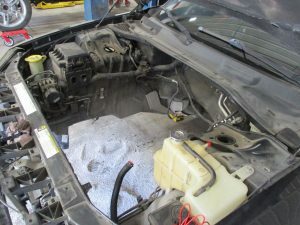 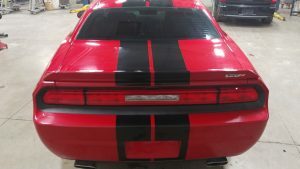 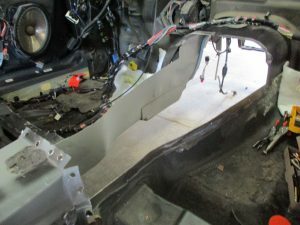 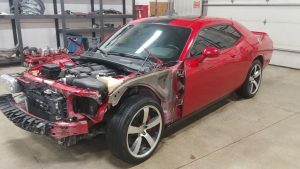 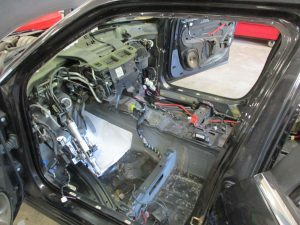 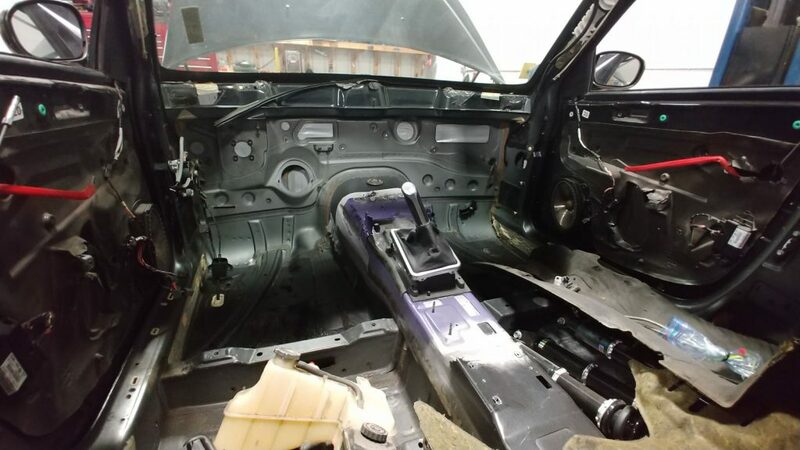 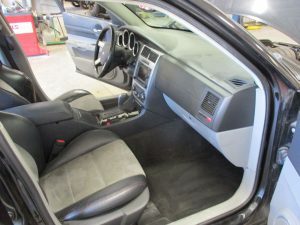 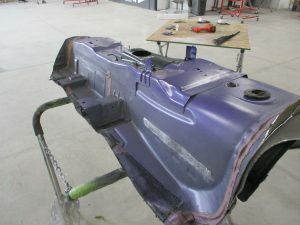 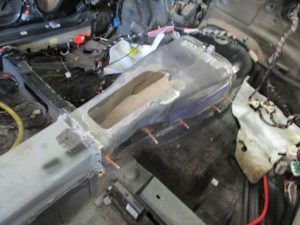 Here are pictures of the Challenger SRT donor car we are using for this build. 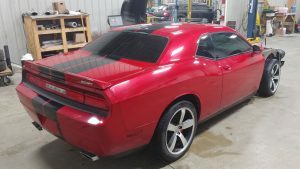 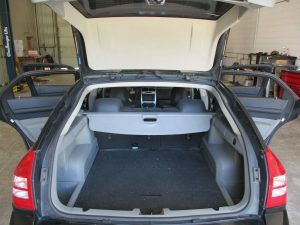 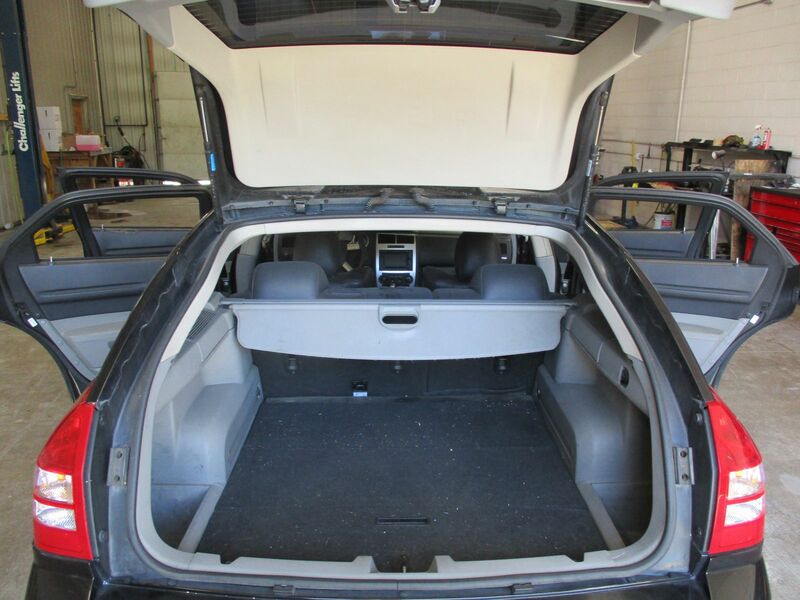 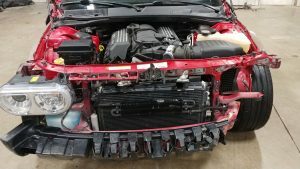 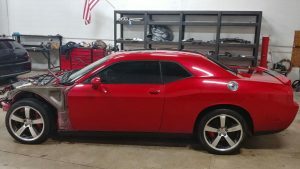 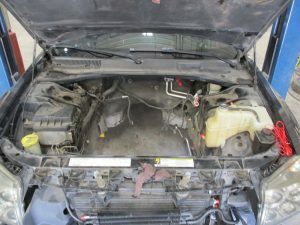 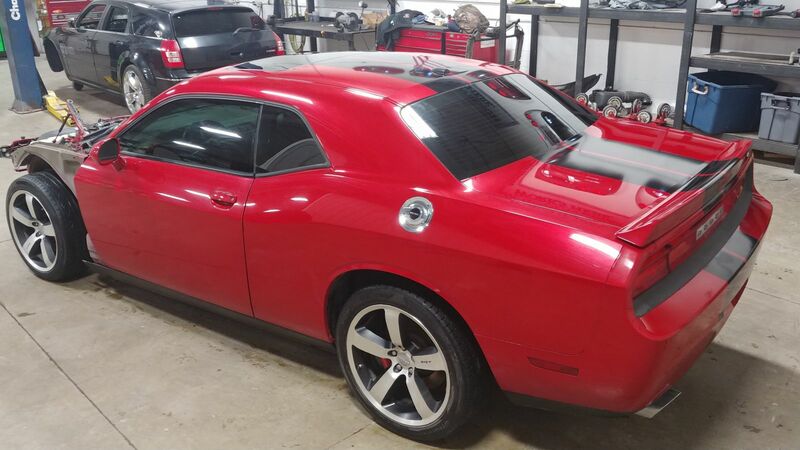 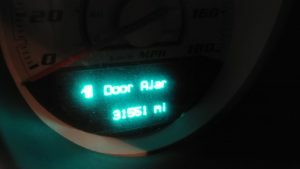 It is a 2012 Challenger with 31k miles. 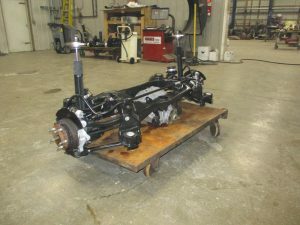 We will be taking the driveline and rear suspension out of this Challenger and using it for the Magnum. 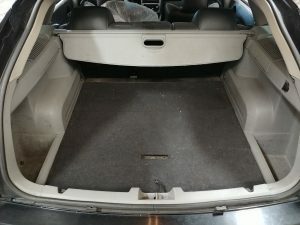 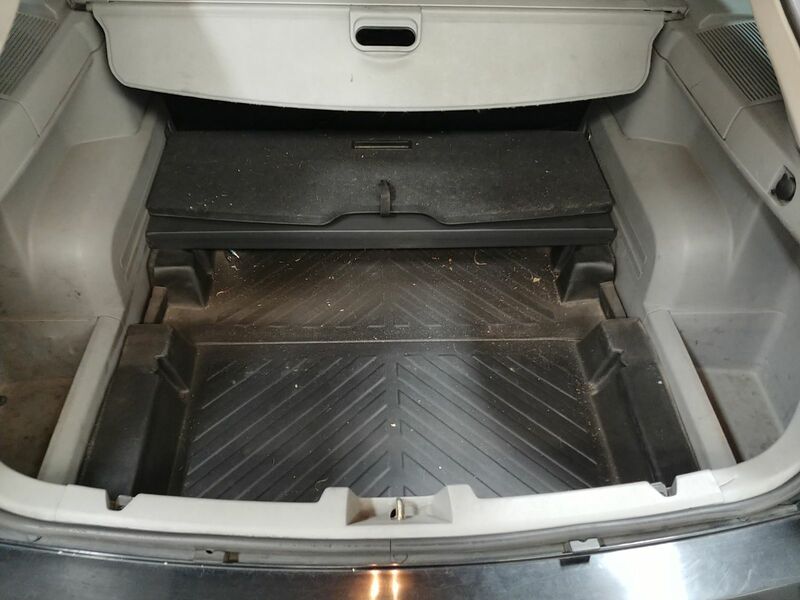 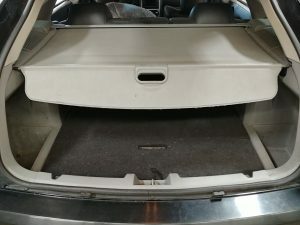 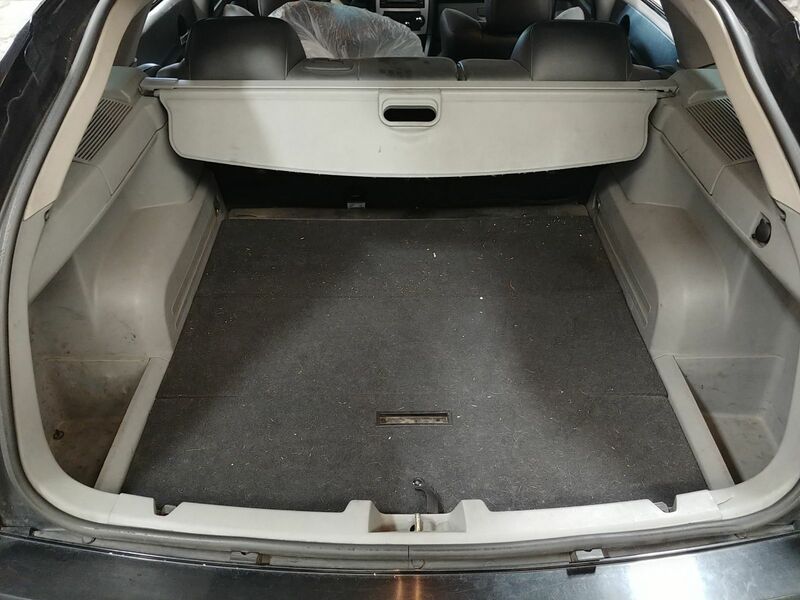 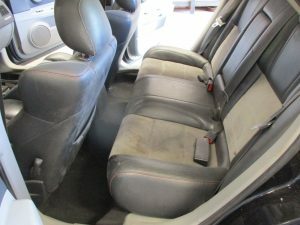 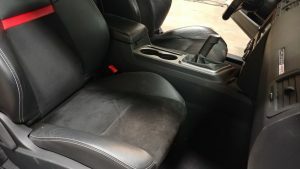 Other items from this vehicle will also be used as needed. 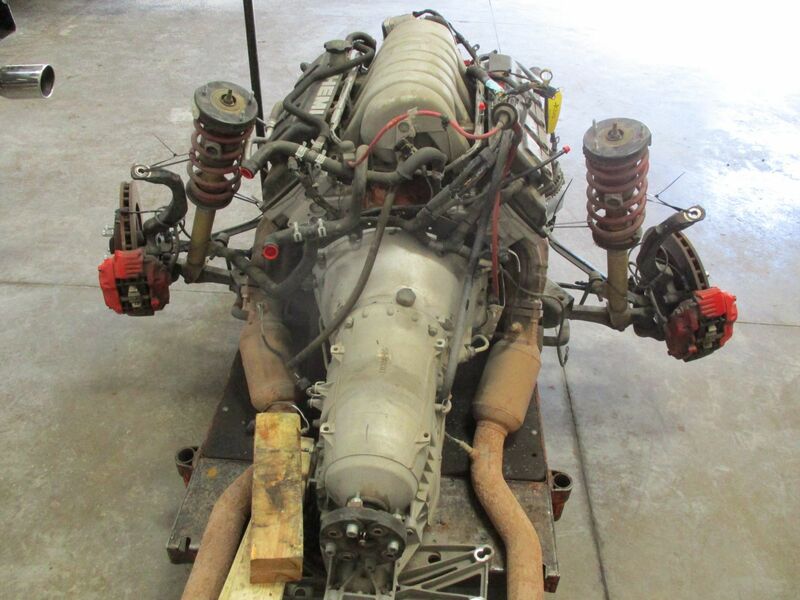 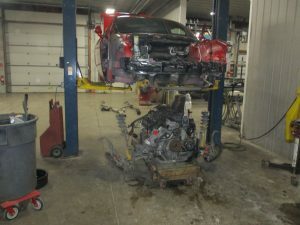 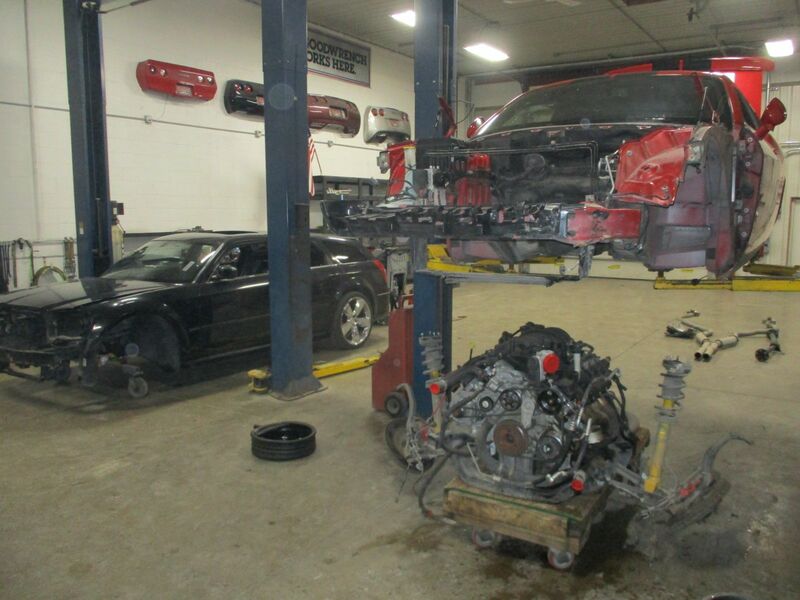 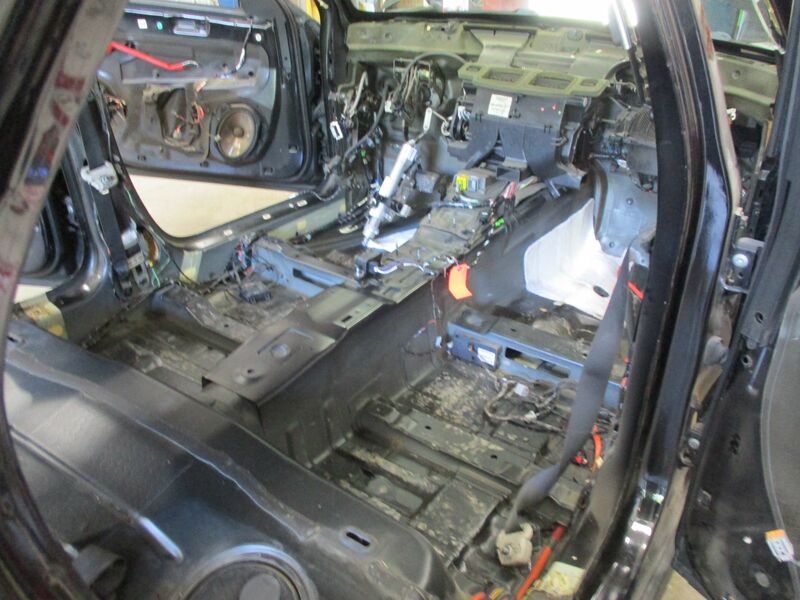 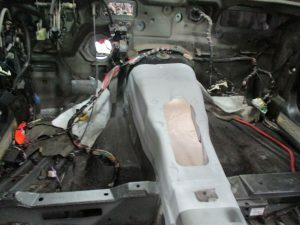 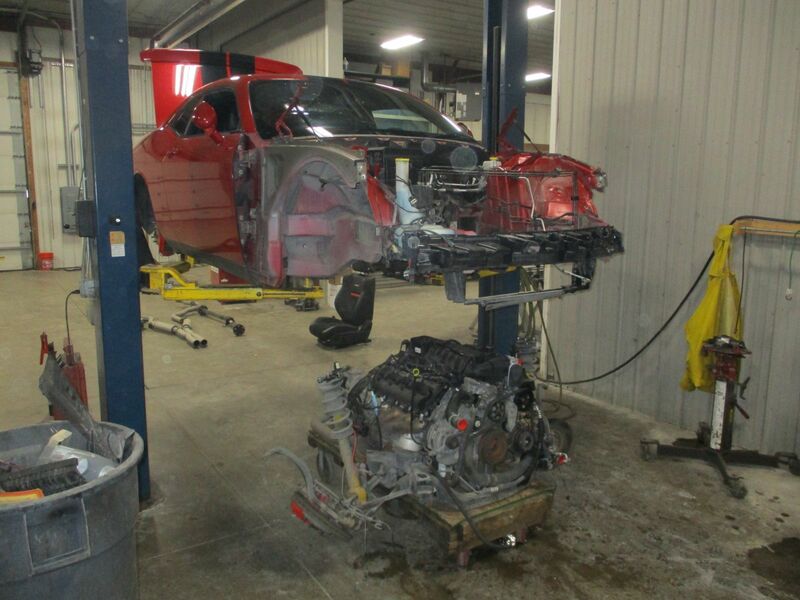 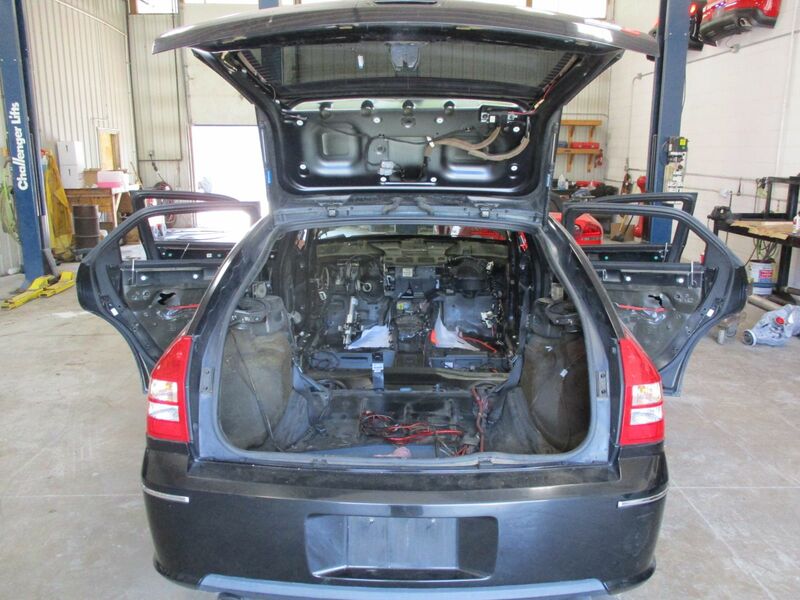 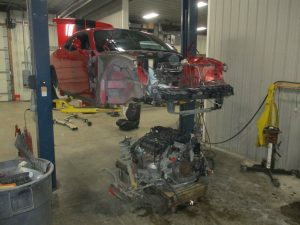 Below you will see the Magnum SRT-8 being stripped down and apart. 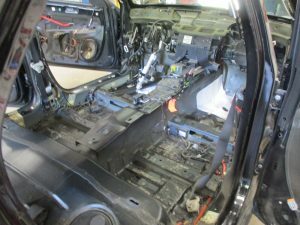 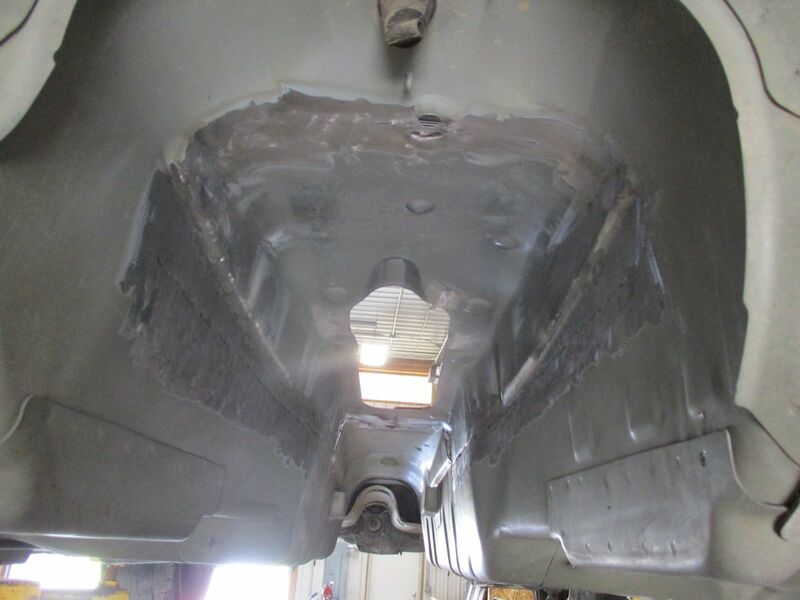 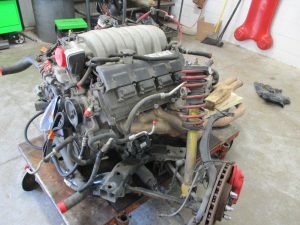 We will be getting ready to fab the manual trans tunnel into this, as well as replace the 6.1 auto wiring with the 6.4 manual wiring needed. We had a Challenger shell in our yard that had a good manual transmission tunnel available. 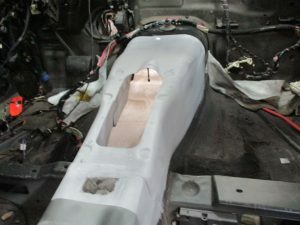 So we cut the full tunnel and some extra to fab into the Magnum shell. 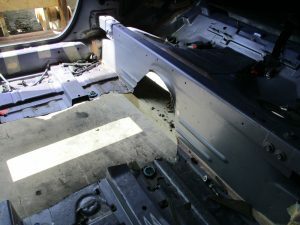 This will be the tunnel used in the Magnum to house the TR6060 transmission. The automatic transmission tunnel cut out of the SRT-8 Magnum. 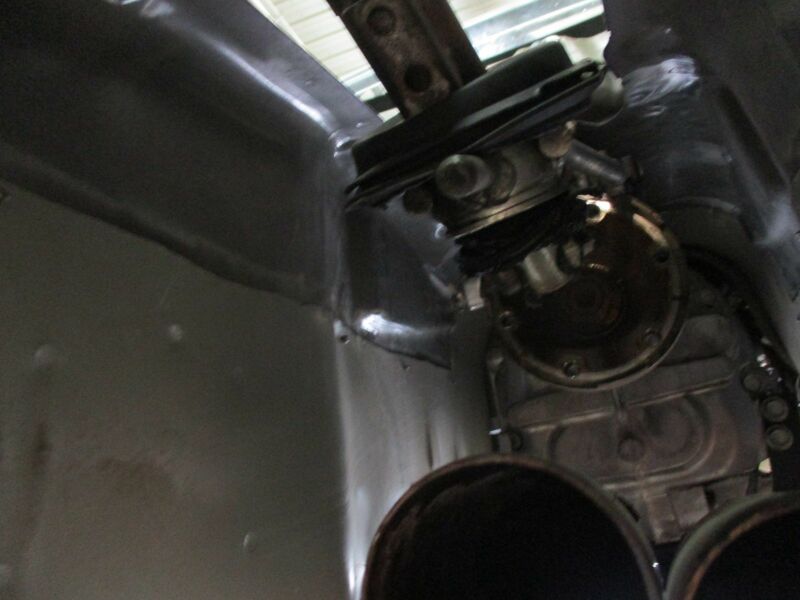 You can see a side by side difference with the shift plates from both manual and automatic tunnels. 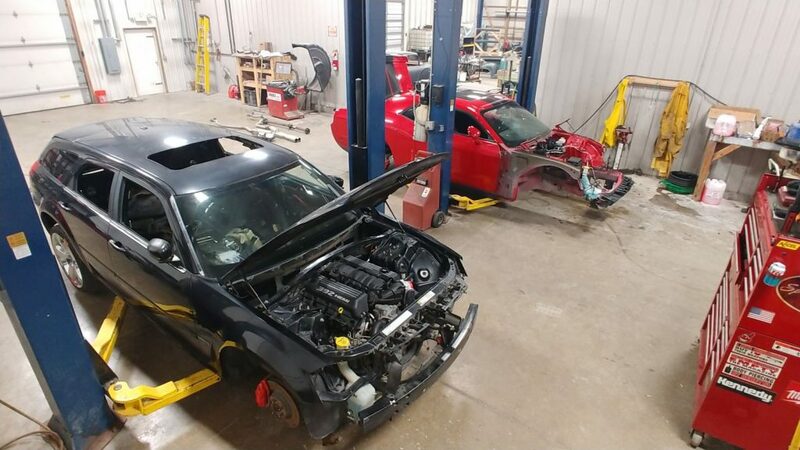 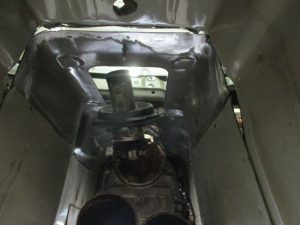 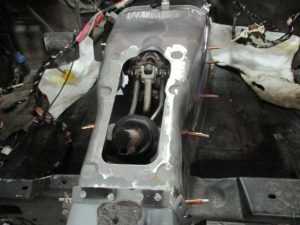 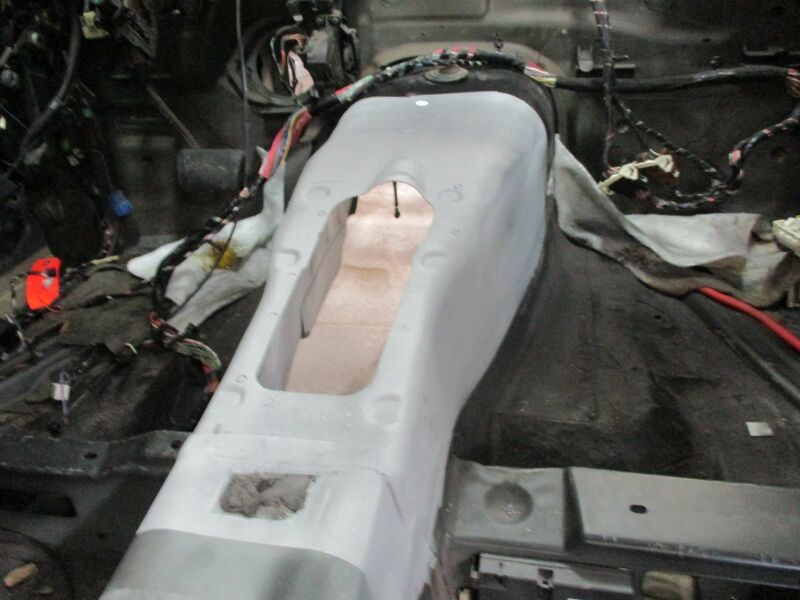 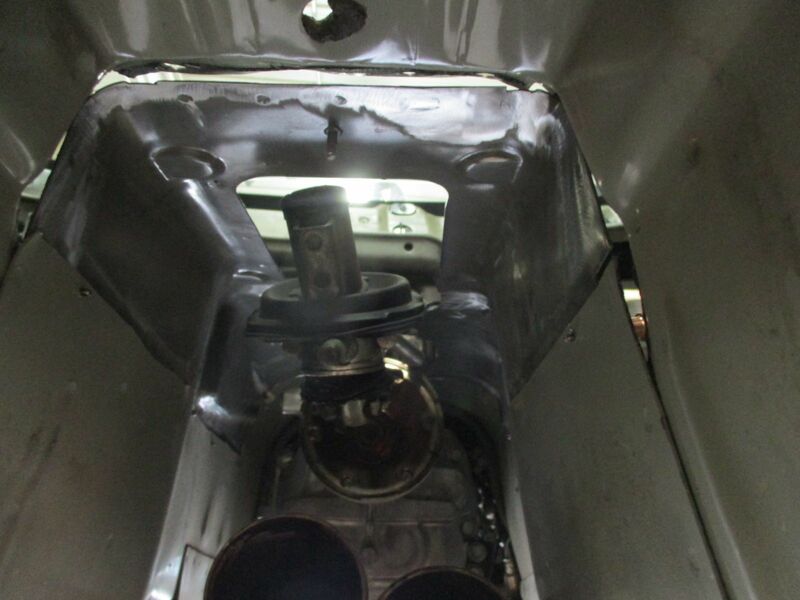 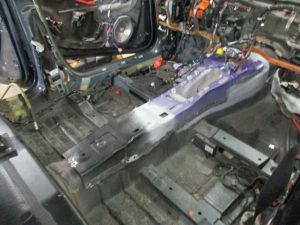 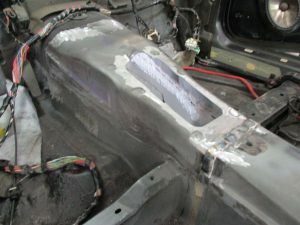 You will also see the two items being custom fitted together to properly fit back into the Magnum and accommodate the manual transmission. 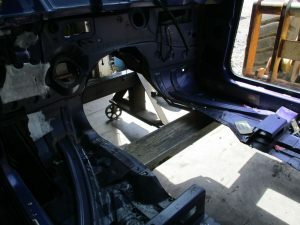 Some more fab work being done to the tunnel. 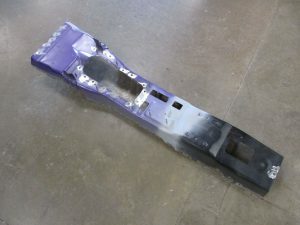 You can see the shifter base being tested in the tunnel to make sure everything lines up properly. 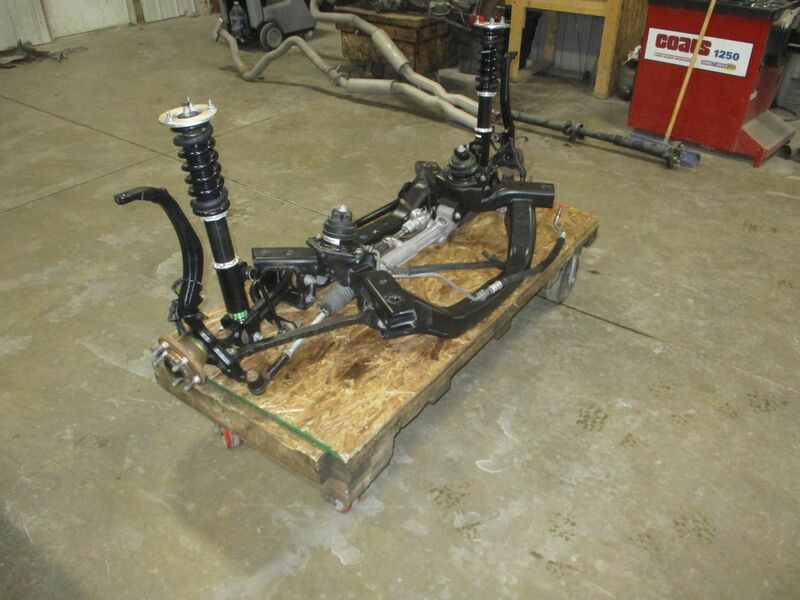 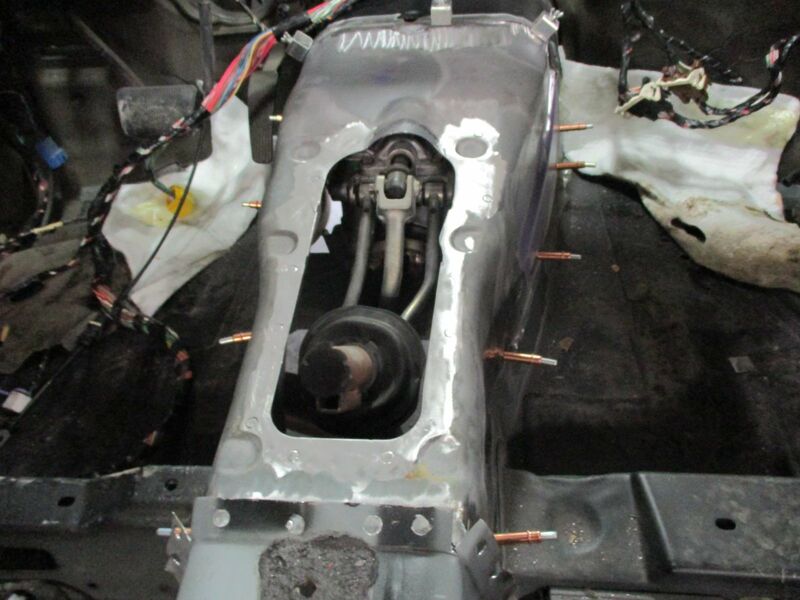 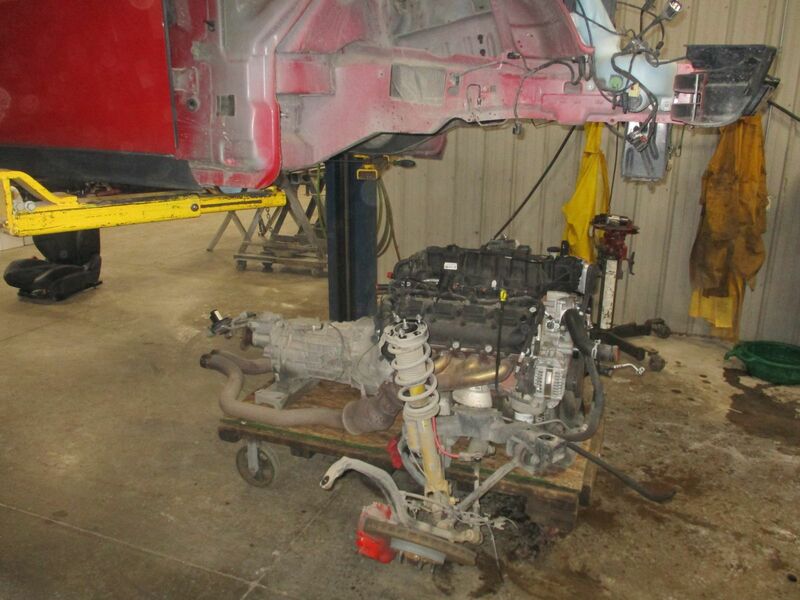 Here you see the Challenger donor car on the lift, as we drop out the driveline and rear suspension for our Magnum. 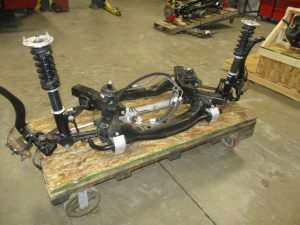 The suspension has a 3.92 Getrag differential. 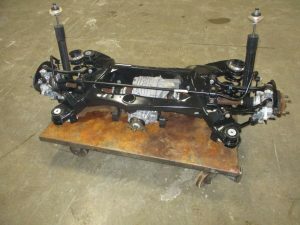 The 6.4L HEMI driveline from our Challenger donor car along with suspensions being dropped under the Magnum for fitment reasons. 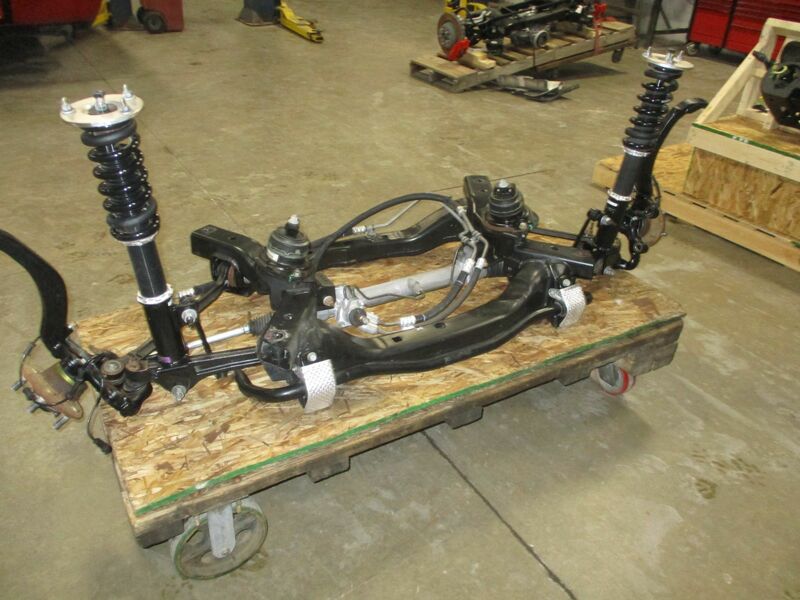 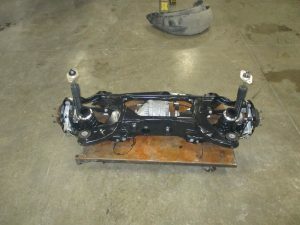 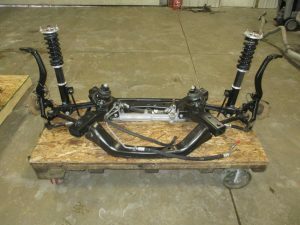 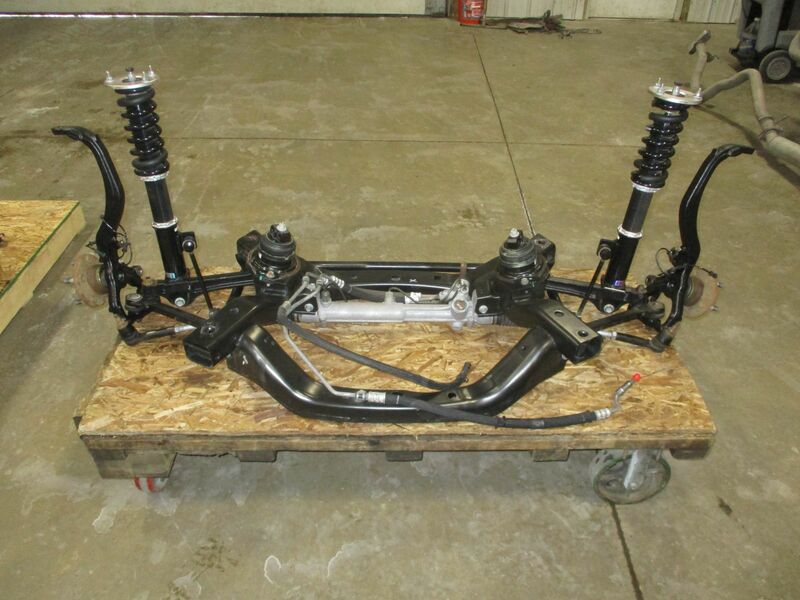 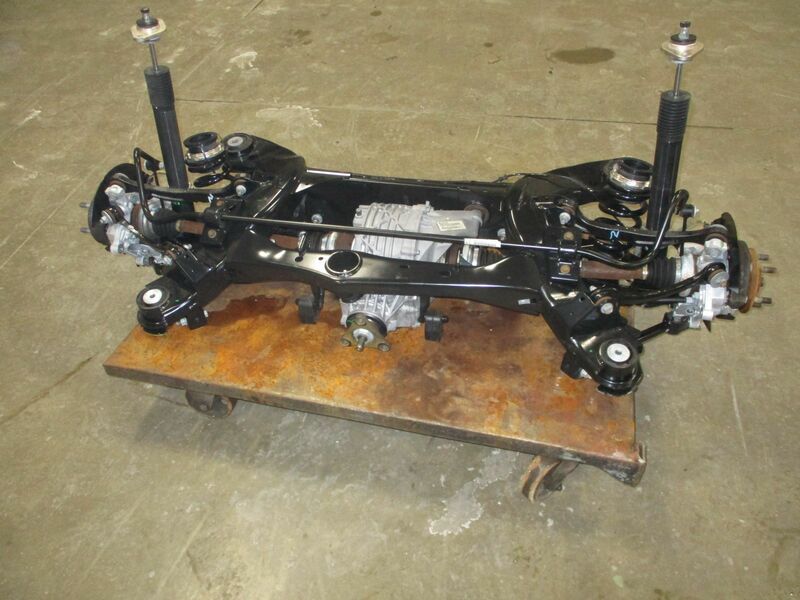 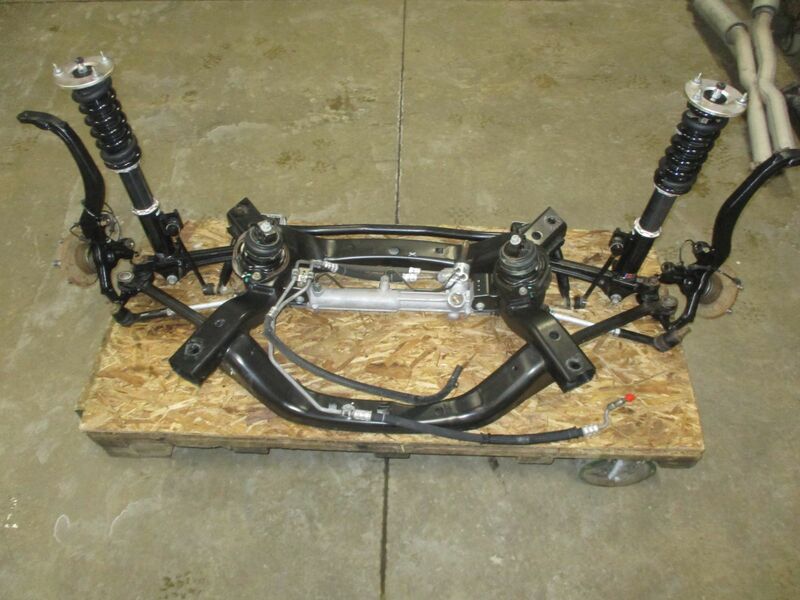 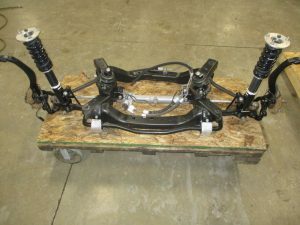 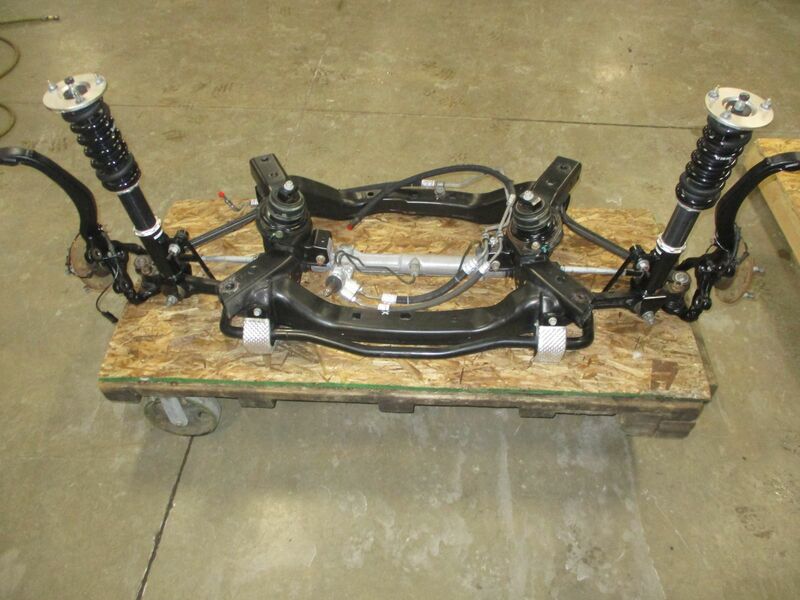 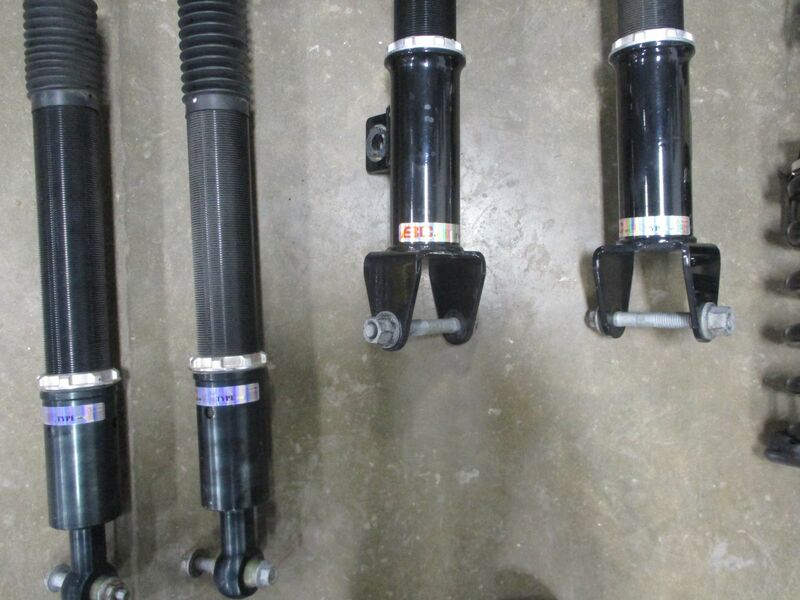 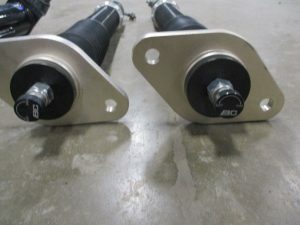 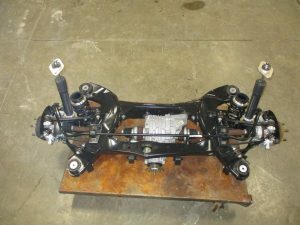 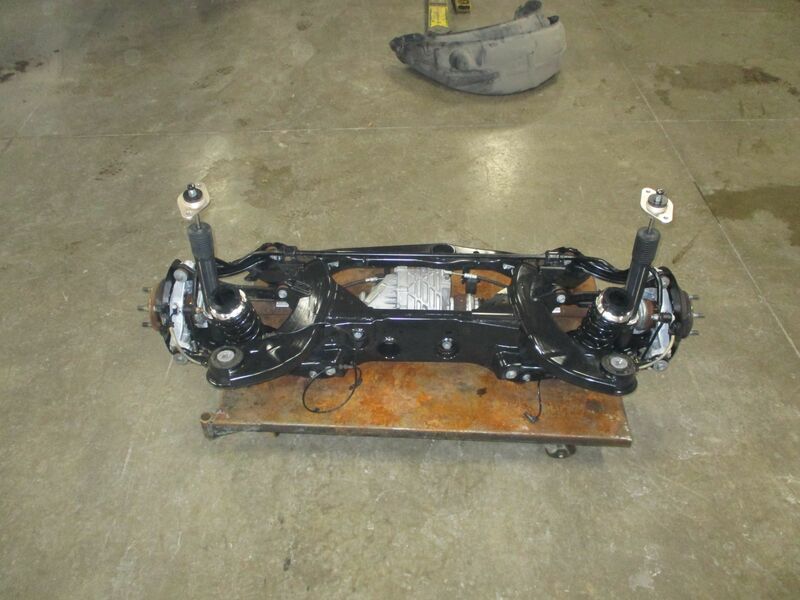 Both front and rear suspensions dropped from the Challenger donor car and will grace the Magnum. 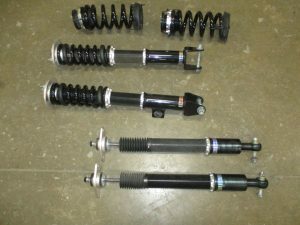 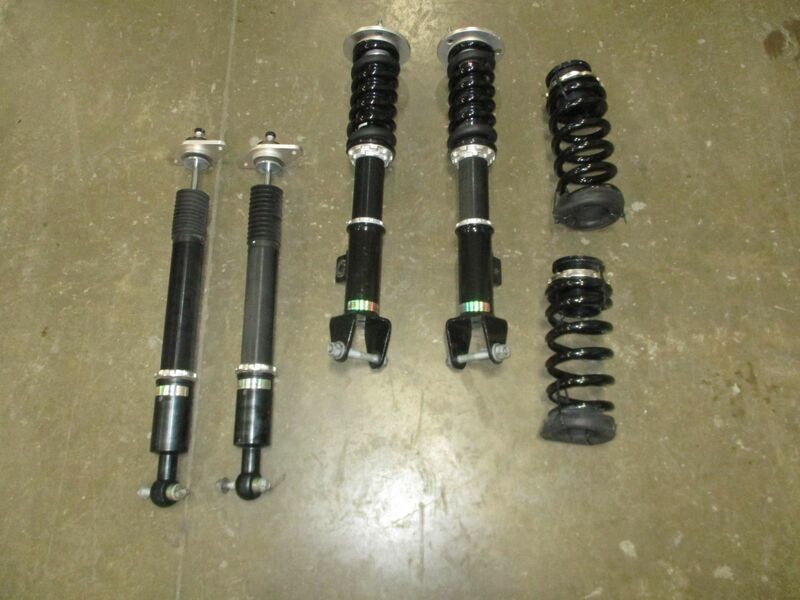 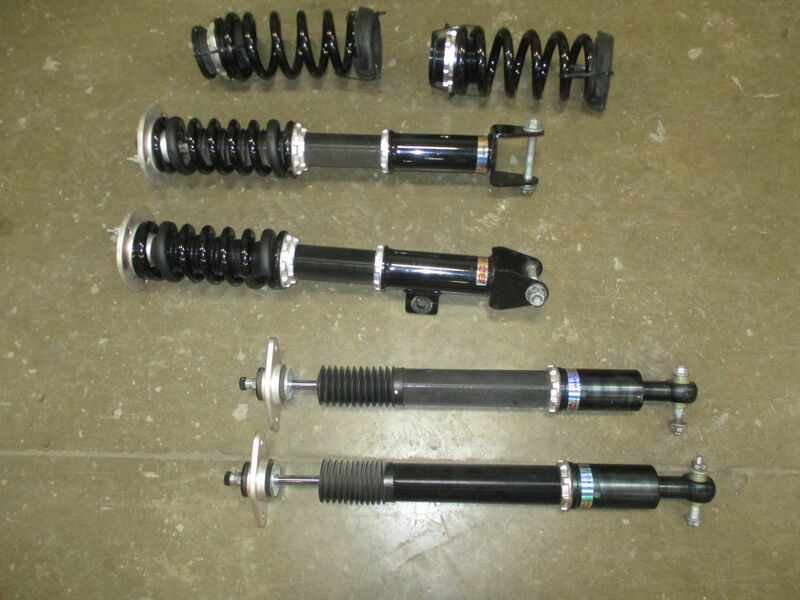 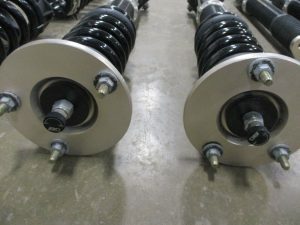 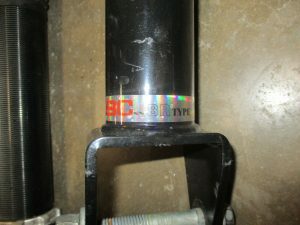 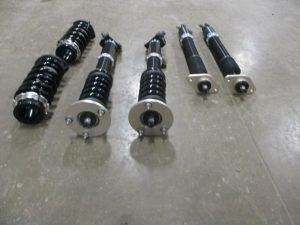 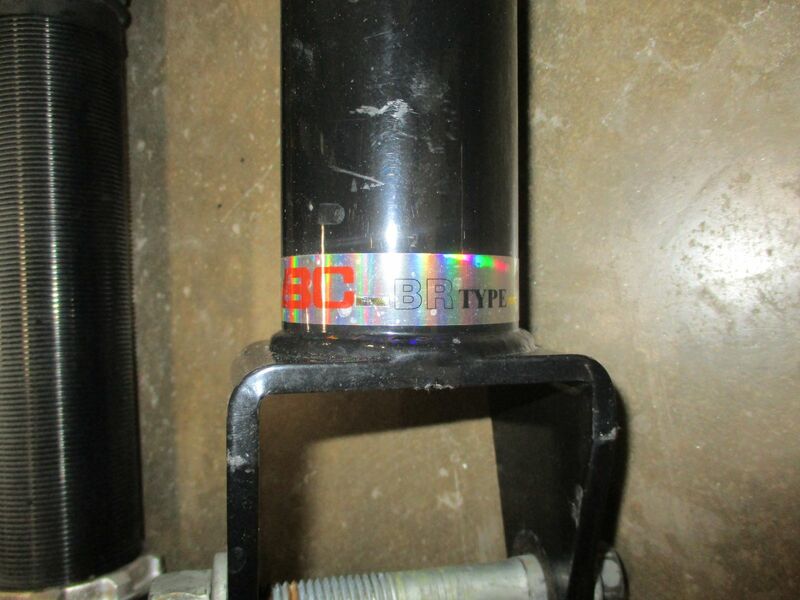 She will also get a nice set of BC coilovers to make the ride extra special.